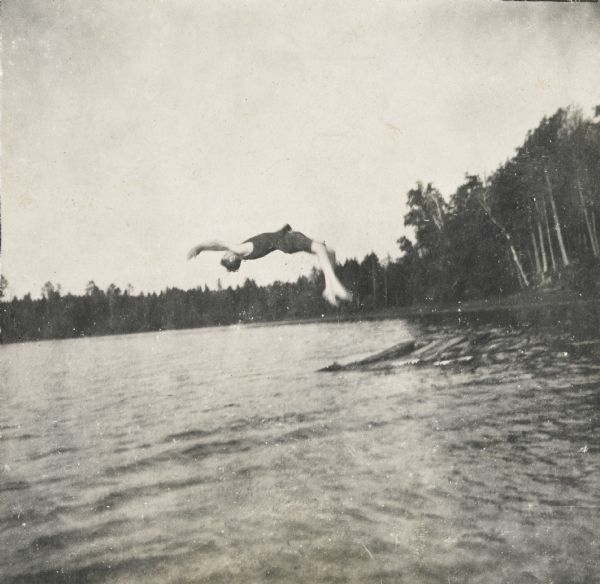 Wallace Rumsey is doing a back flip dive off a raft into Archibald Lake. Trees and a shoreline are in the background. Photo album page heading reads: "The recreations of Uncle Wallace." Wallace Rumsey is the brother of Lucy (Rumsey) Holt.